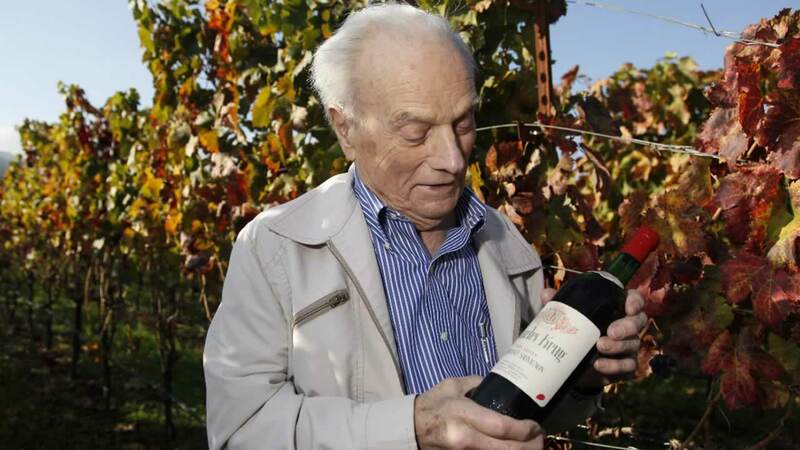 SAN FRANCISCO, CA -- Peter Mondavi, a Napa Valley wine country innovator who led his family's Charles Krug Winery through more than a half-century of change, has died. He was 101. Mondavi, who battled his more famous brother Robert Mondavi for control of Charles Krug, began his career at a time when the Napa Valley was known chiefly for cheap wine and witnessed it grow into one of the world's premiere wine regions. He played a part in that rise, pioneering a number of improvements to California winemaking, including the use of cold fermentation for white wines and sterile filtration. Charles Krug has been in the hands of the Mondavi family since 1943, when it was purchased by Mondavi's parents, Cesare and Rosa. Peter and Robert ran the winery together after Cesare's death in 1959 but were unable to agree on management styles and split, with Robert founding the Robert Mondavi Winery in 1966. Later, the brothers reconciled and in 2005 celebrated their reunion by making a special blend of wine together. Today, Peter Mondavi's sons lead the family business. Marc Mondavi heads the 1.4 million-case CK Mondavi Vineyards division, producer of a popular line of affordable wines, and Peter Jr. leads Charles Krug, producer of premium Napa Valley wines. Born Nov. 8, 1914, the youngest of four children, Mondavi got his start as a boy packing boxes for his father's grape-shipping business. He went on to earn a degree in economics from Stanford University in 1937 and was drawn to the wine business, studying enology at the University of California, Berkeley. World War II interrupted his career and Mondavi served in the military, returning stateside in 1946. Four years later he married Blanche Hurtzig, who died in 2010. The couple had three children, Marc, Peter Jr. and a daughter, Siena. In his studies, Mondavi had researched the effects of cold fermentation on white and rose wines, which then were being fermented at higher temperatures which meant they lost their fruity character through oxidation. He applied what he learned at the winery to make fresher whites. Charles Krug also was the first Napa Valley winery to import French oak barrels to use in aging wine, and in 1963 was among the first to vintage-date varietal wines. Determined to keep the winery family owned despite corporate buyouts happening throughout the valley - the Robert Mondavi Winery was sold to Constellation Brands in 2004 - Peter Mondavi worked to preserve the family holdings, investing $24 million over a nine-year period to replant most of the vineyards and farm them sustainably. Today, the Peter Mondavi family owns 850 acres of prime vineyards in the Napa Valley. Though he didn't run the day-to-day business, Mondavi continued to be a fixture at the office, climbing the two flights of stairs to his office even as a centenarian. He credited his stamina to good genes, hard work, pasta Bolognese - and a daily glass of cabernet sauvignon.